Some info on the new personalised search from Google and some good analysis from searchengineland. 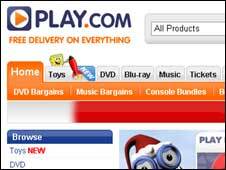 The BBC are reporting that play.com have accidentally sent thousands of emails out, each detailing someone else’s order details. Over at econsultancy. Put important stuff above the fold. Even nowadays. See the international links being shown in the sitelinks for Google Analytics? Google needs to use webmaster tools to sort these out. Where’s my time machine? And where are those guys now?